What's the best way to memorialize a fun trip? Video it, of course. And that is what Microsoft did for its trip to Barcelona for MWC 2015. 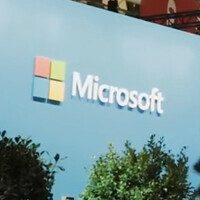 The video has been posted on social media sites and starts by showing shots of the venue mixed in with Stephen Elop's introduction of the Microsoft Lumia 640 XL. This is a low to mid-range phablet with a 5.7-inch 720 x 1280 resolution screen, powered by a quad-core 1.2GHz Snapdragon 400 CPU. The handset features a 13MP rear-camera with an aperture of f/2.0. You should be able to take great pictures in low-light conditions. Also revealed at MWC was the Microsoft Lumia 640 which features a smaller 5-inch glass with the same 720 x 1280 resolution, same CPU, and less impressive cameras (8MP on back and .9MP up front). The two models have 1GB of RAM, 8GB of native storage,and a much appreciated 128GB capacity microSD slot. Both are powered by Windows Phone 8.1 and the pair already comes with the Lumia Denim firmware out of the box. The two handsets will be offered by AT&T some time next month. Microsoft didn't steal the thunder from Samsung and HTC, as there were no high-end Windows Phone flagships unveiled. The company did show off Windows 10 for Mobile. Press reports as far back as December mentioned that Microsoft would stick with the low end stuff for MWC and unveil the higher-end phones in the second half of the year. Not that Microsoft will have the second half of the year all to itself. The LG G4 should be launched around the beginning of the second half of the year, and leaked images are making it appear as though there will be an HTC One M9 Plus that Microsoft will have to contend with this summer. If anything, it might even be more of a looker than the HTC One (M8) and HTC One M9. And as the summer heat begins to dissipate, all eyes will be on the new iPhone models. Now MS release that much awaited flagship. #terribledesign, Why .... ohh god why Microsoft makes this terrible phones and a terrible UI. Maybe is only me who thinks this. I used to have a Microsoft phone.... I was not impressed at all. Terrible phones ? WTH are you talking about ?? As for the UI , its a matter of personal opinions..
That's cool StreetNerd, I love all types of phones. But the WP has not impressed me so far. Maybe in the near future that might change.... "Maybe"
Different strokes for different folks i feel the same way about Android. To me it's just catching up to Windows phone in the aesthetics department but everyone has different taste, live and let live, treasure choice. The only way I would get a windows phone is if they threw in a product key for windows 10. As the owner of a Nexus 5 and many past Android flagships, the only way i would buy and Android phone is if I could load Windows Phone 8.1 Update 1 or Windows 10 on it.